The objective of Gymnastics is to maintain a healthy lifestyle through practicing basic gymnastics in a safe environment. 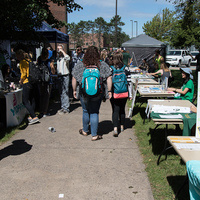 Email hgariepy@nmu.edu for more information. Gymnastics is a play which make your body more elastic. At the time when you see those gymnastics then you become happy and surprised. On this https://samedaypapers.com/buy-research-papers link you get some photos which tell you about these gymnastics.